Muzik Malaysia Terbaru Anda. XFM (formerly known as XFresh FM) is a unique radio station that plays 100% Malaysia-made music. Yes you heard me right. You won’t be hearing any Katy Perry, Lady Gaga or Justin Bieber here. Instead the staple diet served here consists of Hujan and Bunkface to They Will Kill Us all and Love Me Butch. From The Azenders to Azlan and the Typewriter, and recently (just about over a year ago): Underheadlights! 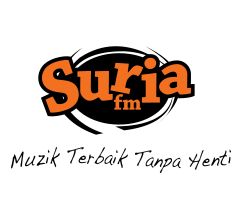 The popular tags for this radio station are Listen Malaysia FM, Listen Malaysia Online, Malaysia, Malaysia FM Stations, Malaysia Live Radio, Malaysia Radio, Malaysia Radio Streaming, Malaysia Streaming, Online Malaysia FM, Online Malaysia Streaming, Taiping, XFM, XFresh FM.